The Corvin Castle, also known as the Hunyadi castle is one of the most beautiful and well-preserved medieval castles in Transylvania. The castle was built in the 14th century, being the most famous property of Romanian ruler Iancu of Hunedoara. 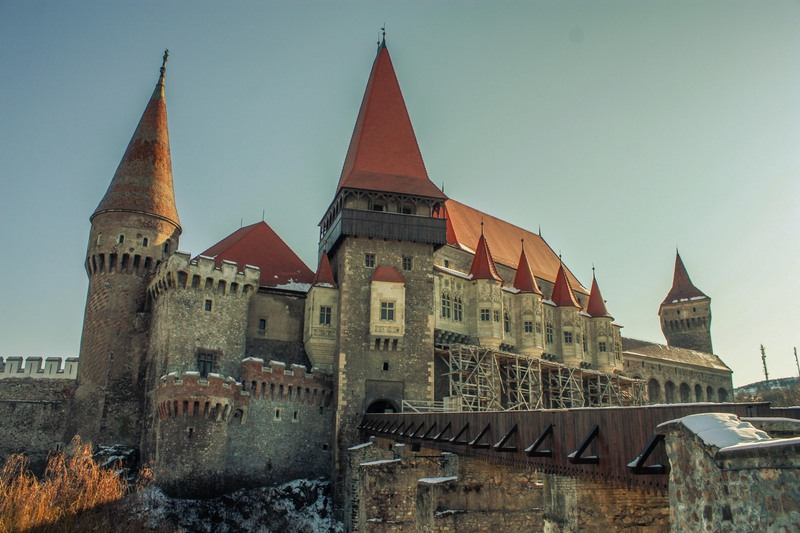 To this day, this impressive castle dominates the city of Hunedoara with its Gothic architecture. It only takes one visit to the Corvin Castle for a traveler to imagine this as the perfect setting for Edgar Allan Poe’s “ghost stories”. Iancu of Hunedoara was the one who managed to stop the Turkish army at Belgrad and also their rise towards Europe, after the conquest of Constantinople in 1456. To this day, the bells of the Catholic Churches still toll in the middle of the day to commemorate this victory, due to a decision of the Vatican Church. The castle integrates various architectural styles, because of the presence of some military innovations. 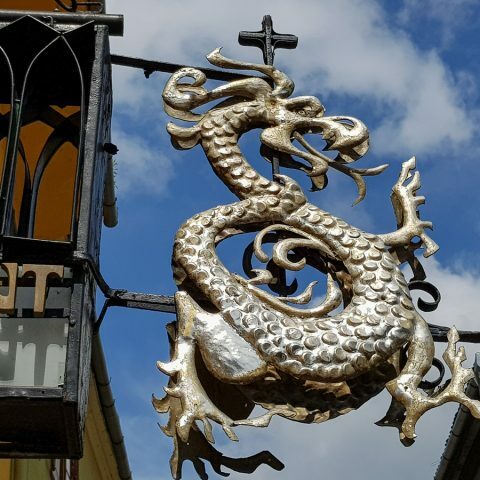 It was meant to be not only a luxurious residence during Iancu of Hunedoara’s reign, but also a strategic point to defend the region against various attacks. This now Catholic Church has an interesting history. It was originally an Orthodox church, but the switching to Catholicism occurred mainly because of political reasons at that time. The ceiling was lowered and built in Gothic style, but above it one can still see the remains of the actual ceiling, that used to belong to the Orthodox Church. The altar couldn’t be moved towards North – West, like it’s usually present in Catholic churches, which is why it might seem a little bit odd. The entrance of the church is in the inner yard of the castle, which made the move impossible. The entrance door presents some decorations specific to the Renaissance period and the royal coat of arms of Matei Corvin, that is very different from the one used by Iancu of Hunedoara. The background represents a blue field, and on the front, a raven is represented resting on a branch and holding a golden ring in its beak. With a Gothic ceiling and a Renaissance – inspired entrance, the interior of the church is built in a completely different style. Some say that it’s like a miniature of the Cathedral from Amiens, in France, where the French kings used to be crowned. The Hunyadi Castle has 42 chambers, 2 bridges and 2 platforms. The access is made on a wooden bridge, sustained by four massive stony piers. Like many medieval bridges, a niche can be found nearby, with a statue of St. John de Nepomuk, the protector of bridges. Some of the first locations that one can see after crossing the bridge are the new stony tower, in a rectangular shape, the prison of the castle (where it’s believed Vlad Tepes was kept as a prisoner), the Loggia Matia (with the only secular fresco dating back to the Renaissance) and The Golden Chamber that hosts the Museum of the Corvini Castle. At the first level of the New Gate Tower, visitors can see the “Princesses’ Living Room”, with various pieces of furniture dating back to the 19th century. Across the spiral staircase, the Council Hall is another important location, built in the late Gothic style. At the exit, the Capistrano Tower is accessible through another staircase. The second level of the Southern Palace represents mainly rooms that were used as offices for the iron mines from Poiana Rusca Mountains during the 18th century. In the castles’ yard, the artillery platform, restored during the 19th century, offers a wonderful view over the chapel, the courtyard of the fountain, the Northern Palace and the Bear’s Pit. 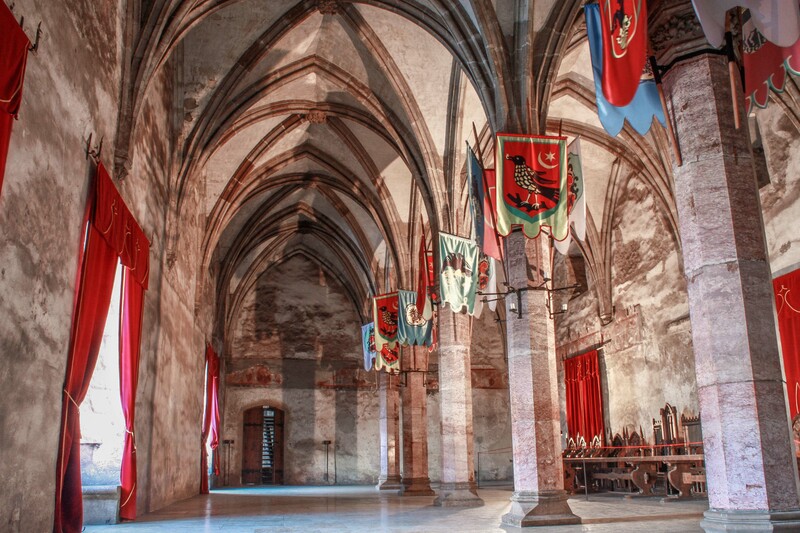 The Knights Hall is one of the most interesting spaces dating from the 15th century Transylvania, situated in the Western side of the castle, at the ground floor. The hall is divided into two sectors. It served as a dining room for festive occasions, but also as a council and judgment room for noblemen. 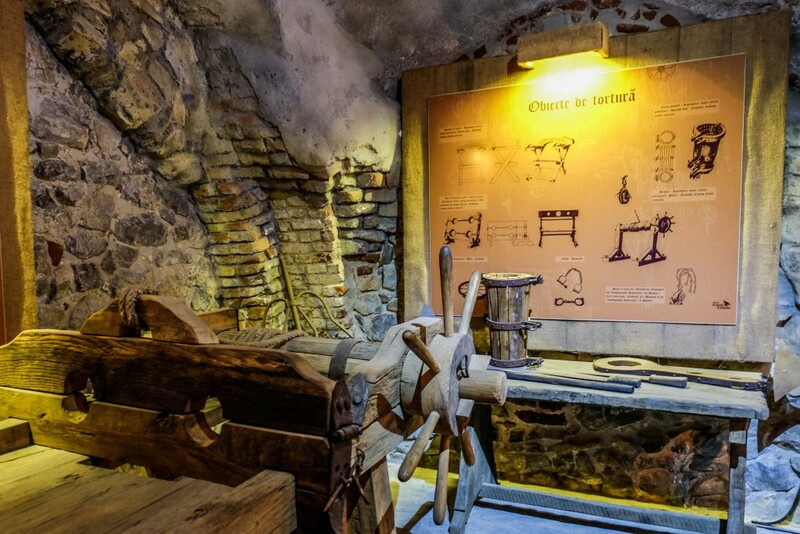 Some of the most famous guests of the Hunyadi Castle were in fact prisoners here; Gheorghe Doja and Vlad Tepes. Gheorghe Doja was the leader of the Rebellion in 1514 and he was caught when John Zapolya, the commander of the Timisoara fortress, defeated his army of peasants. Before his deadly “sentence”, Gheorghe Doja was held prisoner in this castle, in the same prison where Vlad Tepes was locked away because he wrote some letters to the Turkish sultan and he was considered a traitor. Many historians believe that Matei Corvin, who tried to mask the fact that he had spent the money intended for an army of mercenaries to stop the Turkish invasion, forged the letters. One of the stories circulating about Vlad Tepes’ imprisonment was that he was supposed to be judged in the Council Hall, but it was difficult to gather all the members of the council at that time in Hunedoara, and even so, they didn’t have enough nobility ranks to judge a prince of Tepes’ rank. While waiting for the council, Vlad Tepes almost went insane because he was able to hear the screams of those who were sentenced to death and then thrown in the “Pit of Scythes” or in the “Pit of lions”, where there were actually hungry bears and wolves that would eat alive any person thrown in. Like many medieval buildings, there are also a few legends surrounding this castle. Asides from the eerie atmosphere, some say the castle is also haunted. Near the entrance of the church, there’s a fountain dug in stone by three Turkish prisoners. 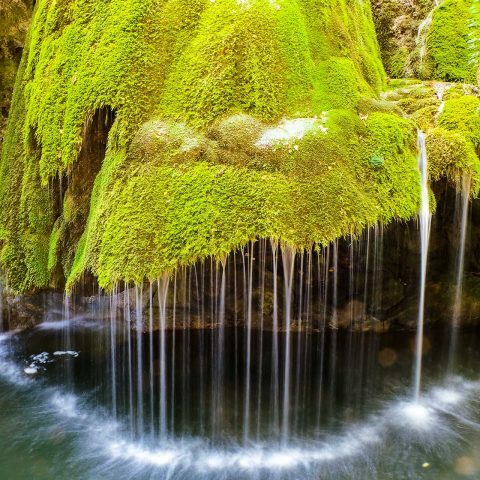 Legend says that Iancu of Hunedoara told them that if they dug in stone and reach for water, he would set them free. After 10 years of digging, the prisoners found water, but instead of releasing them, he beheaded them. Supposedly, one of the prisoners carved into stone the words: “You have water, but you have no soul.” In fact, three Turkish prisoners made the fountain, but it is not known if they died here or not. The Capistrano Tower has its name from a monk named Ioan of Capistrano. Legend says that the last monk who was caught spying on the noblemen in the Council Room was walled into the recess in the wall of the room. No one knows if this is true or not. 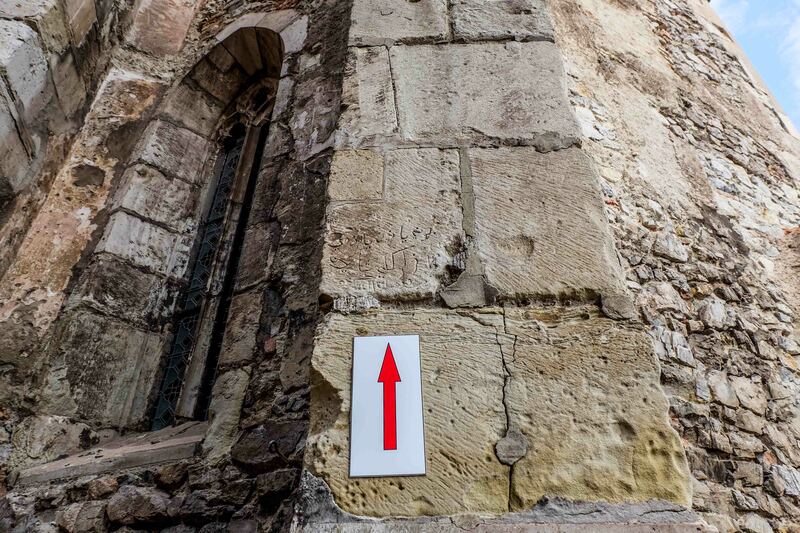 How to get to the Hunyadi Castle? You can get to the castle by train, bus or by car. Once arrived in the city of Hunedoara, the castle is easy to find, due to numerous traffic indicators. The castle is open for visitors all year round, just the schedule changes, depending on the season. 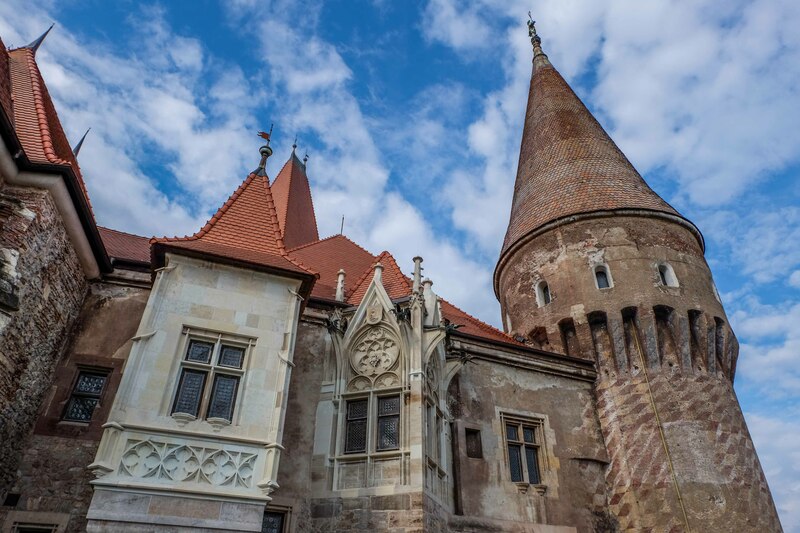 If you would like to visit the Hunyadi Castle, you should also take the opportunity to visit Transylvania for a couple of days and to see many other beautiful locations. 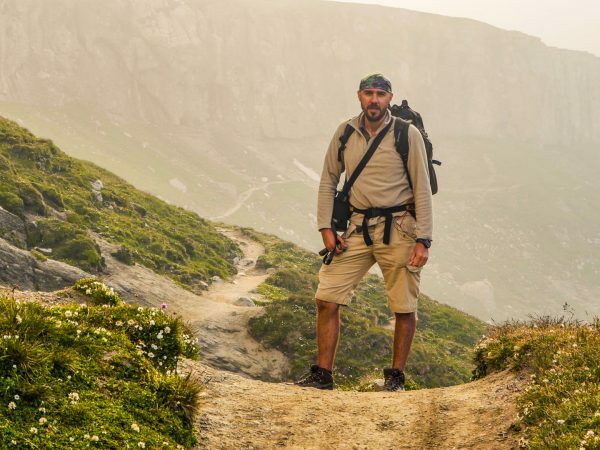 The perfect way to discover Transylvania’s beauty when you visit Romania is on a private tour, so you have all the time to visit the locations you’re interested in. 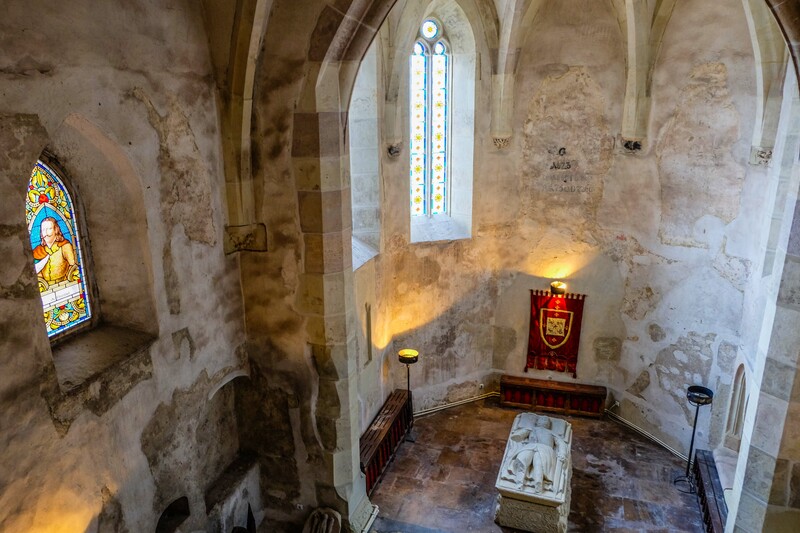 Considering its connection with Vlad Tepes’ story, we recommend the Dracula Tour in Transylvania, which includes a tour of the Hunyadi Castle. Oh, yes he was. Mathias Corvinus was part Romanian too. Most of the kings of the Hungarian Kingdom were NOT hungarian. Voyk or Voicu, the grandfather of Mathias, was born in Wallachian. Voicu received the demesne of Hunyad from King Sigismund of Luxembourg, suggesting that he was descended from a prominent Wallachian family. Yes indeed. From the ruling time of Arpad dynasty 1301, until Mathias Corvinus 1458, The Kingdon of Hungary was ruled either by the French dynasties – Anjou or Polish nobleman. This is why Mathias born in Transylvania was regarded like one of their own, and this is one of the reasons this historical character so appreciated. I would like to visit the castle. Can you actually stay at the castle? My mother was born in Botsch/Batos, Romania(Transylvania). How close is this to the castle. 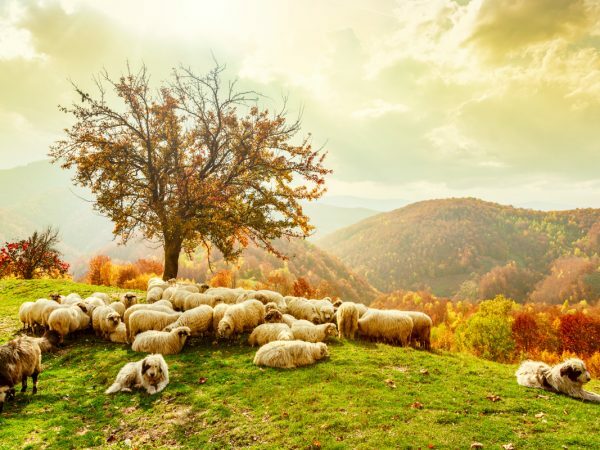 What is the best time of the year to visit Transylvania(summer time and non-rainy season). Please advise, thanks. Our surnames are Sollner, Fleischer, Moisch, Blum and Nagy. Hi Donald, and thank you for your comment. Corvin Castle or Huniade Castle or Hunyadi Castle as it is called it`s a medieval Gothic stronghold located in Transylvania Region. 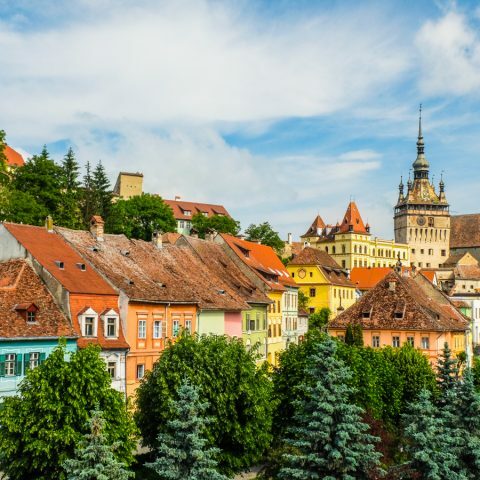 Hunedoara city, where the castle stands is 250k and 155 mi from the village where your mother was born. Batos Village is 75 mi from Cluj-Napoca, and it is a typical remote Transylvanian Village being surrounded by hills and forest. The summer (June, July, August)is hot but dry and winter cold and snowy (December, January, February). Speaking about Corvin Castle, this does not have rooms for tourist or guests but it is a very interesting tourist attractions with many tales, legends and stories. I’m from Mexico and will be traveling to Romania in October and would LOVE to visit Corvin Castle. I already booked a tour but doesn’t include Corvin. 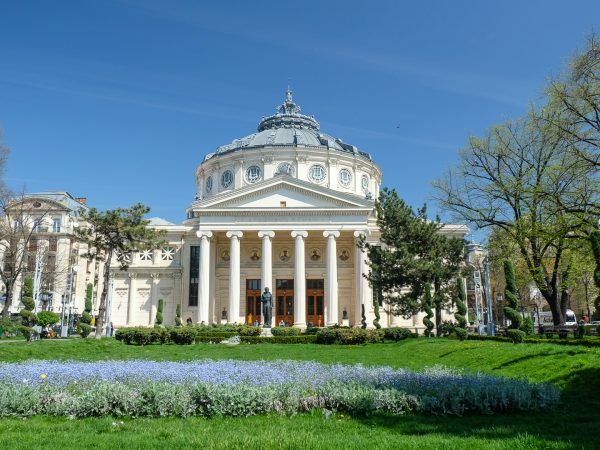 Do you know of a tour that I can take from Bucharest?